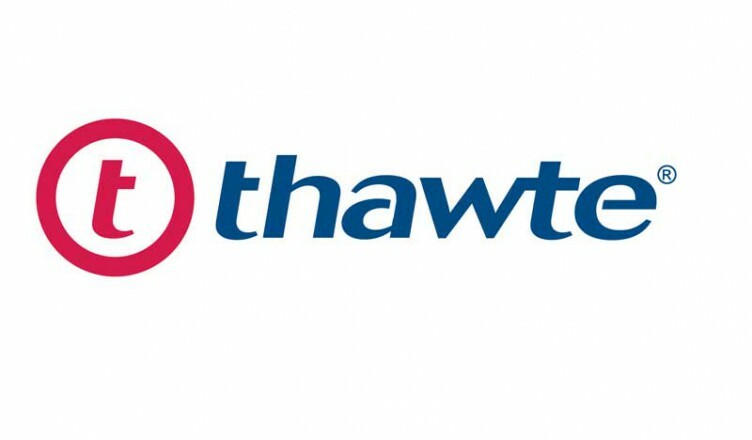 Thawte was founded in South Africa by Mark Shuttleworth and was the first of the Certificate Authorities (CAs) to provide SSL certificates to public entities that were not within the United States. It was acquired by VeriSign, Inc. in 2000. by 2009, Thawte had become a wholly owned subsidiary of Symantec Corporation. As of June, 2011, Thawte was offering five different types of certificate. In keeping with its South African roots, Thawte pledges to donate $50 to aid African elephants with the purchase of each new SSL certificate. In terms of the authentication level, one of the five offerings has domain validation, three have full organization validation, and one offers Extended Validation (EV). They take from 1 to 10 days to be issued, on average. Let’s look at each of the five offerings in turn. The SSL 123 Certificates are designed for securing a single domain on intranets and internal servers and have domain validation. They are generally available within a business day or less, have over 99% browser comparability, and support for Online Certificate Status Protocol (OCSP), which browsers use to check a certificate’s status. They provide 128-bit to 256-bit SSL encryption in most browsers. They come with a money-back guarantee and accept internationalized domain names (IDNs). A two-year purchase is $259 and the maximum term offered is 5 years. The SSL Web Server Certificates are designed for securing a single domain on a server on which it is necessary to establish trust and security for all users with the green address bar that goes with extended validation. They are generally available within 1 to 2 business days, have over 99% browser comparability, and support for Online Certificate Status Protocol (OCSP), which browsers use to check a certificate’s status. They provide 128-bit to 256-bit SSL encryption in most browsers. They come with a money-back guarantee and accept internationalized domain names (IDNs), as well as an optional upgrade to accept Subject Alternative Names (SAN). A two-year purchase is $449 and the maximum term offered is 5 years. The SSL Web Server Certificates with EV are designed for securing a single domain on a server that requires secure log-in capability, whether on a public or employee site. They are generally available within 1 to 10 business days, have over 99% browser comparability, and support for Online Certificate Status Protocol (OCSP), which browsers use to check a certificate’s status. They provide 128-bit to 256-bit SSL encryption in most browsers. They come with a money-back guarantee and accept internationalized domain names (IDNs), as well as an optional upgrade to accept Subject Alternative Names (SAN). A two-year purchase is $995 and the maximum term offered is 2 years. The SGC SuperCerts are designed for securing a single domain on a server when it’s important to offer strong encryption for the majority of site users and is authenticated with full organization validation. They are generally available within 1 to 2 business days, have over 99% browser comparability, and support for Online Certificate Status Protocol (OCSP), which browsers use to check a certificate’s status. They provide 128-bit to 256-bit SSL encryption in 99.9 percent of browsers. They come with a money-back guarantee and accept internationalized domain names (IDNs), as well as an optional upgrade to accept Subject Alternative Names (SAN). A two-year purchase is $1199 and the maximum term offered is 5 years. The Wildcard SSL Certificates are designed for securing an unlimited number of domains and have full organization validation. They are generally available within 1 to 2 business days, have over 99% browser comparability, and support for Online Certificate Status Protocol (OCSP), which browsers use to check a certificate’s status. They provide 128-bit to 256-bit SSL encryption in most browsers. They come with a money-back guarantee and accept internationalized domain names (IDNs). An online inquiry or phone call is required to learn the pricing scheme. The money-back guarantees are for 30 days, and renewal reminders are provided with each certificate to assist in preventing a lapse.